This looks and sounds delicious. I can't wait to give it a try and pop in a scary movie one night close to Halloween. You can find the recipe here. This looks like a great almost healthy cake recipe. 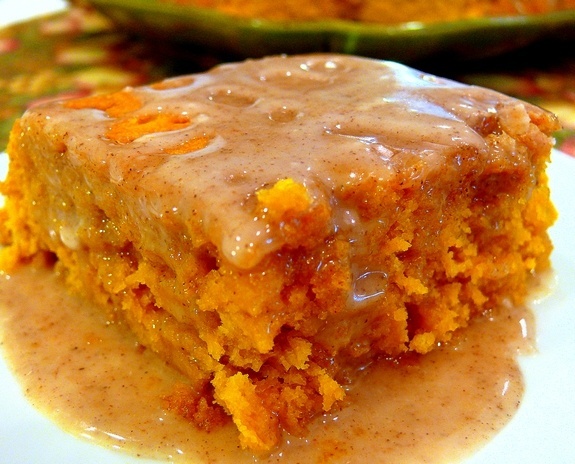 The cake part is only 2 ingredients: yellow cake and pumpkin. The icing is a glaze made out of sugar, apple juice and pumpkin pie spice. Sounds heavenly. I plan to try this to take to a fall party or maybe on a Sunday for a special dessert. You can find the recipe here. Why haven't I thought of this? 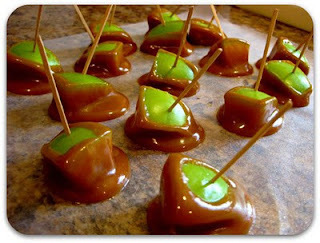 I love caramel apples but what a mess! 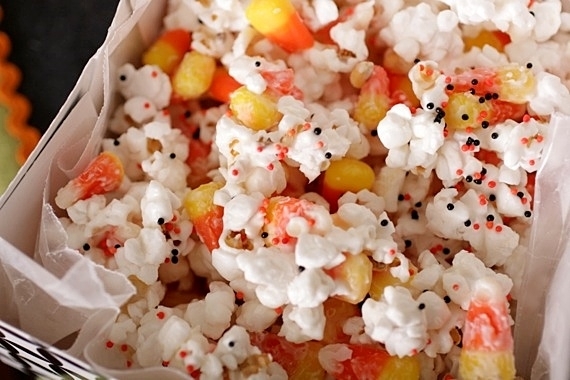 These look so cute and I can't wait to try them with some delicious fall apples. Find the original post, here.